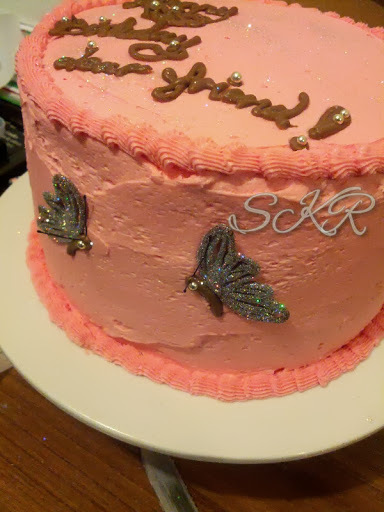 I started by making the butterflies. These were mild chocolate, with purple coloured white chocolate wings, and edible holographic silver glitter. The chocolate was flavoured with kahlua essence. The first lot I made didn’t work because I’d stored my chocolate for too long but a trip to the service station fixed that. It’s good to be near local stores that are open weird hours when you’re prone to nocturnal baking! You can make them with the wings upright like this by first making just the wings and letting them set, then peeling them off the baking paper, putting folded baking paper in a folded cardboard v, and piping in a little butterfly chocolate body. Then rest each wing gently until it touches the body and allow the butterfly to set. I made these a week in advance as they keep really well. The cake was a plain simple chocolate cake recipe from one of my decorating books. I baked three flat cakes in three identical tins. I was really not impressed with this recipe, the mix was really stodgy and the end result wasn’t inspiring. Not inedible, but not great. Nevertheless, it did the job. For a filling I settled on a recipe for creme parisienne, which is a chocolate ganache, cooled and whipped. Wow, did that work well! 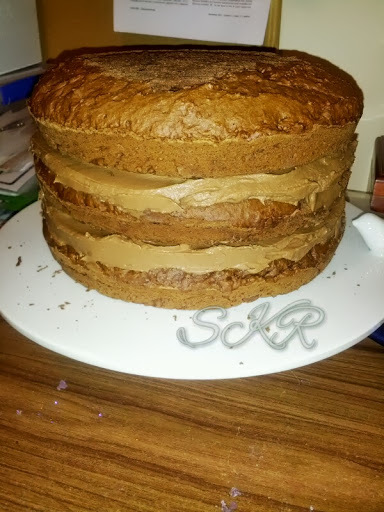 It became basically invisible once sandwiched between layers of chocolate cake, which was a shame as part of the fun of a layer cake is the stripes, but the taste… Mmmmm. 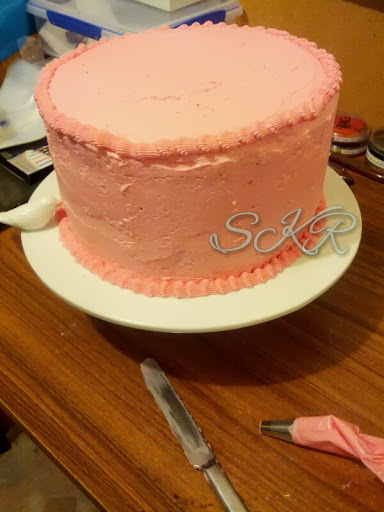 I carefully chose a buttercream recipe that incorporated cream cheese for better flavour, and added wilton pink gel food colouring for the outer icing. 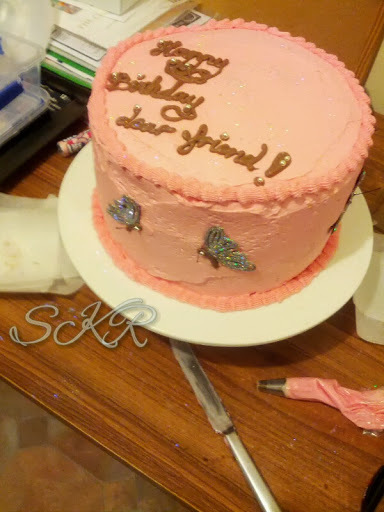 I’ve been working more with fondant lately, which is fun, but the flavour – ugh. And definitely not suitable for someone who wants a less rich, sticky cake. I iced the whole cake and decided to pipe some basic shells with the extra icing. 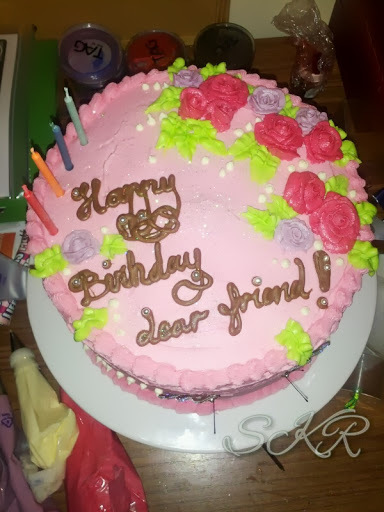 I’ve not yet much used my exciting set of icing tips so this was new and great fun! 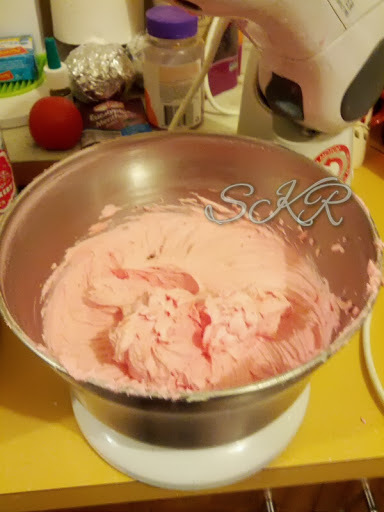 Then the really fun bit – my first attempts at piping buttercream roses! They were far from professional but they did look like flowers so I was really happy with that. 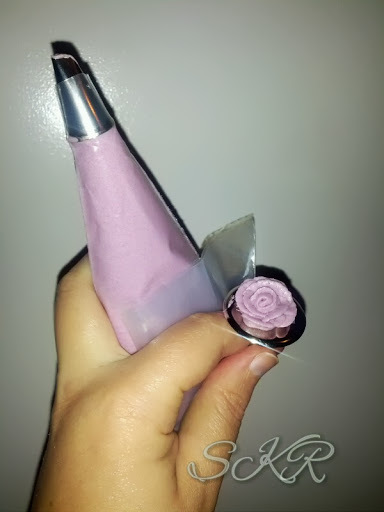 I made large dark pink ones and smaller violet ones. Then added leaves, dots, and candles. These were cool rainbow candles where the flame was supposed to be the same colour as the candle… it was kinda hard to tell truth be told. 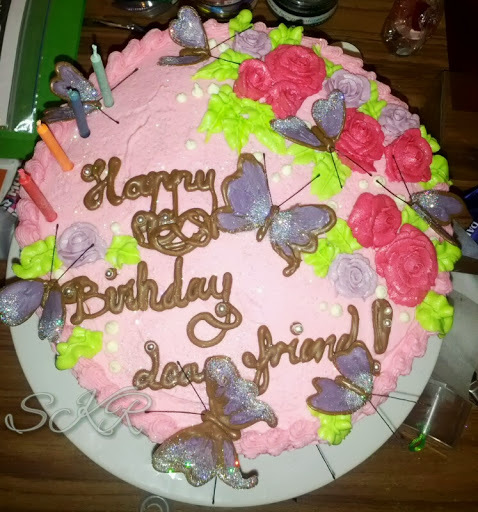 Last step – add all those chocolate butterflies. Viola! Here it is on my very sweet new white cake stand – purchased as EVERY store I went to looking for a simple cake board that weekend had sold out. Still, it’s gorgeous and I’m sure I’ll use it again. 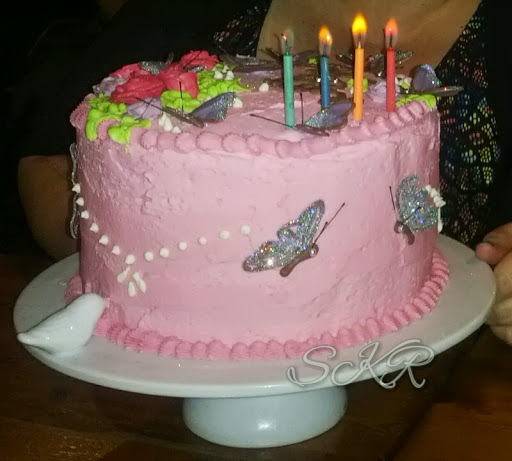 Icing around the little sparrow was a little tricky but… Mmmm lovely.